Haley will talk candidly about her tenure as U.N. Ambassador and the consequential actions, decisions, confrontations, and behind-the-scenes negotiations that shaped national and world events. Her book also will be deeply personal, describing the experiences that shaped Haley’s actions as governor and ambassador, as well as the challenges she and all women face when they assume roles traditionally occupied by men. U.S. publishers include Celadon Books, Farrar, Straus and Giroux, Flatiron Books, Henry Holt & Company, Macmillan Audio, Macmillan Children’s Publishing Group, St. Martin’s Press Publishing Group and Tor Books. 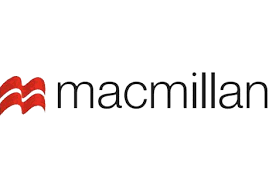 In the UK, Australia, India, and South Africa, Macmillan publishes under the Pan Macmillan name. The German company, Holtzbrinck Deutsche Buchverlage, includes among its imprints S. Fischer, Kiepenheuer and Witsch, Rowohlt, and Droemer Knaur.